Nowadays, Pereza is one of the "coolest" groups in Spanish music. 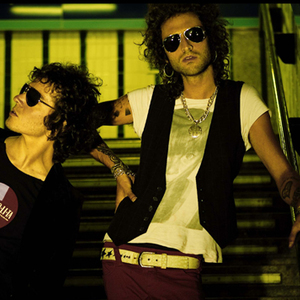 Pereza is composed by the guitarrist Ruben (ex Buenas Noches Rose) and the bassist Leiva (ex Malahierba). In their concerts they play with another guitarrist called Pitu and a drummer called Rober. They have released six albums: "Pereza", "Algo para cantar", "Animales", "Los amigos de los animales" and "Aproximaciones" and "Aviones".